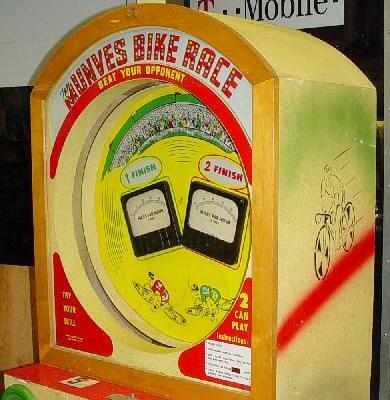 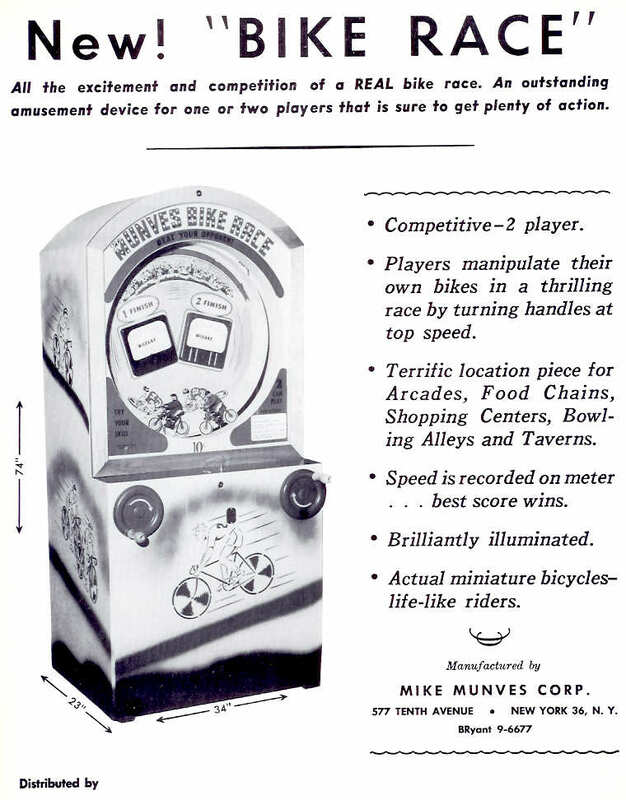 Description: Bike Race, Mike Munves, 1940s (exact date unknown). 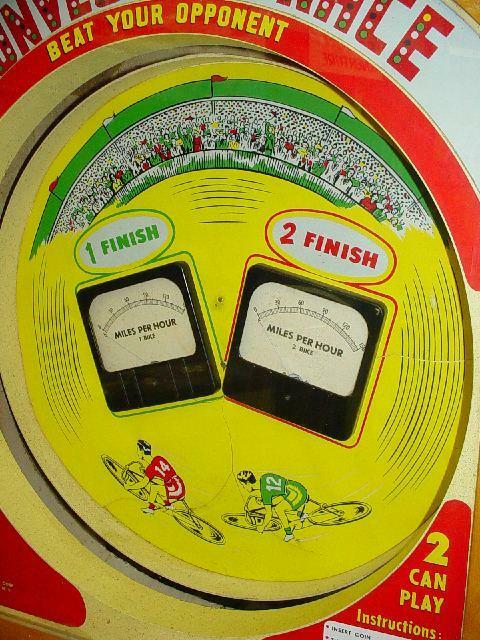 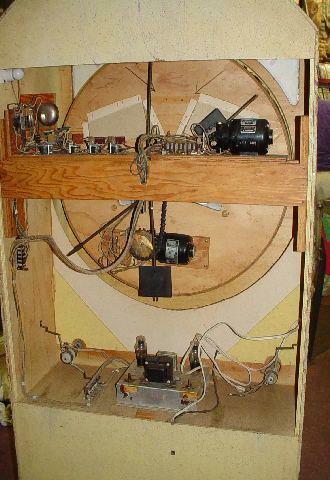 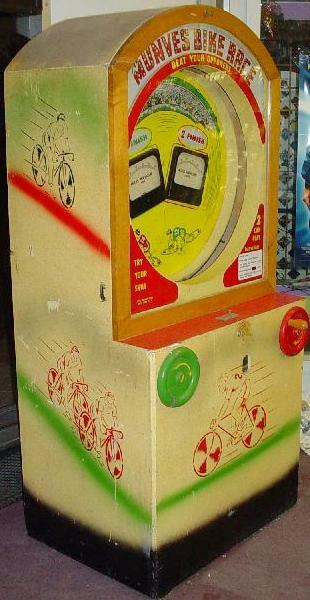 The object of the game is to crank the wheel as fast as possible against your opponent. 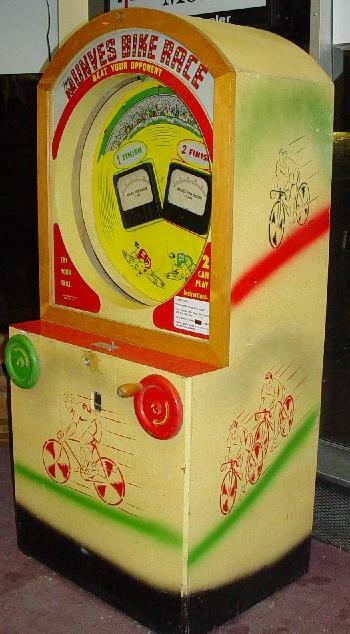 The two bikes are missing from the game below.